We’ve been working non-stop for the last few months getting Sociable Soccer ready for Steam Early Access. Unfortunately we have hit a last minute bump in the road which means that Sociable Soccer will sadly not be released today on Steam. 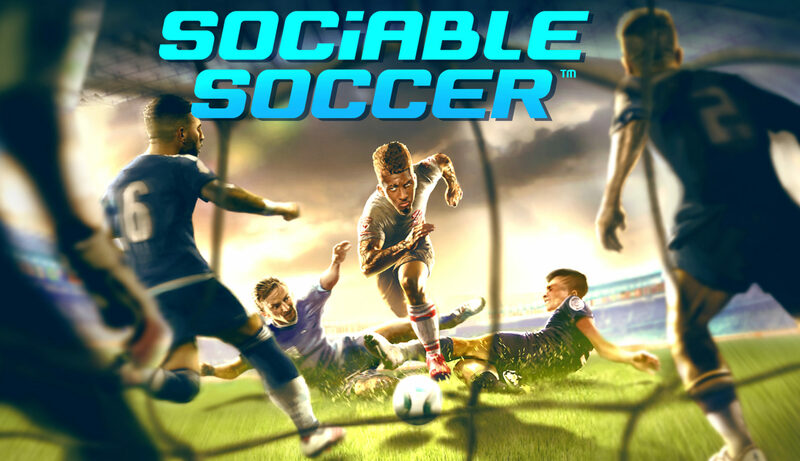 We can say with confidence, though, that Sociable Soccer will now be coming to Early Access next week. The team is extremely disappointed that you won’t be able to play the game today but feel the wait will be worth it. Please hang in there with us, as we close in on releasing the first chapter of the greatest arcade football action game you’ve ever played. Bummer! Drove home early to be able to play for a little while but it wasn’t meant to be. Ultimately for the better (SS2006 could’ve used some delays to make it better) but maybe you guys could be (even more) cautious with deadlines, delays happened with clips etc. as well. Sorry for what happened today. We really feel bad about it. We are trying to be careful, but we are also learning from our mistakes. The Early Access approval build is going to stay 3-5 days (working days we suppose) in approval before we can publish it. This is what none of us understood until early this morning. That is our mistake as a team and for that we are sorry. Next PostNext Sociable Soccer has gone live and into pre-season!